Kannada Vedike of Jain College VV Puram is going to organize a Kannada Habba on 8 December 2017 in its college premises. 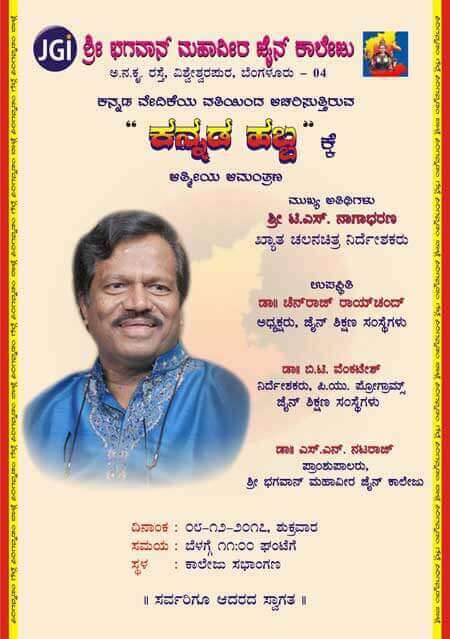 The program will be inaugurated by the Chief Guest Shri T. S. Nagabharan, who is a renowned Kannada Film Director. 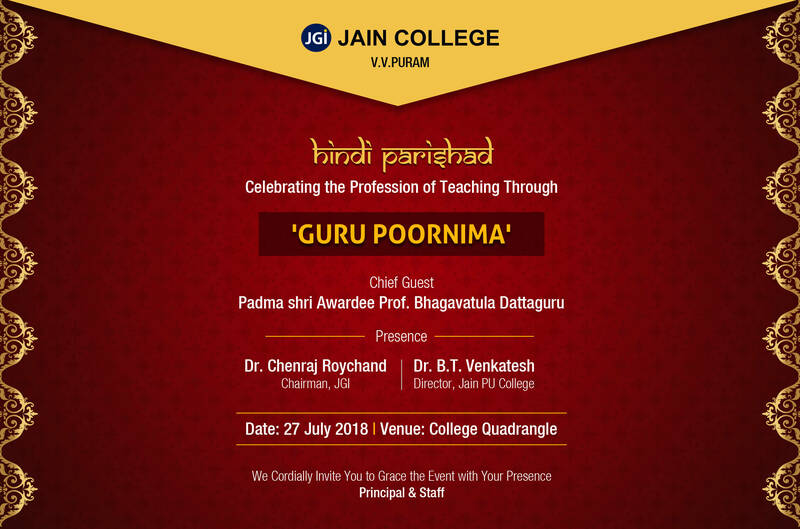 Dr. Chenraj Roychand, Founder-Chairman, JGI Group, Dr. B. T. Venkatesh, Director, PU Programs including Dr. S.N Nataraj, Principal, Jain College VV Puram, will grace the occasion. The objective of this cultural and literary fest is to spread awareness about the Kannada language, its rich culture and history and express tribute to mother tongue Kannada and its heritage.